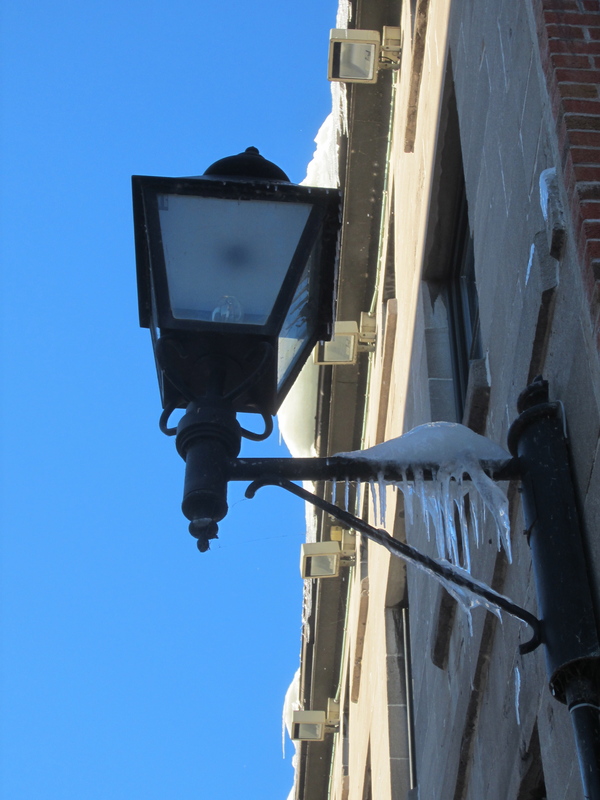 As you can guess, it is the oldest part of Montreal, where the city began to grow from it’s establishment as a French colony in the 17th century. It prospered as a centre of shipping and trade until the 20’s, when downtown shifted a few kilometres away to larger offices. The area became partially abandoned and obsolete for a few decades, until the late 20th century, when Old Montreal’s intrinsic historical charm began to attract tourists. 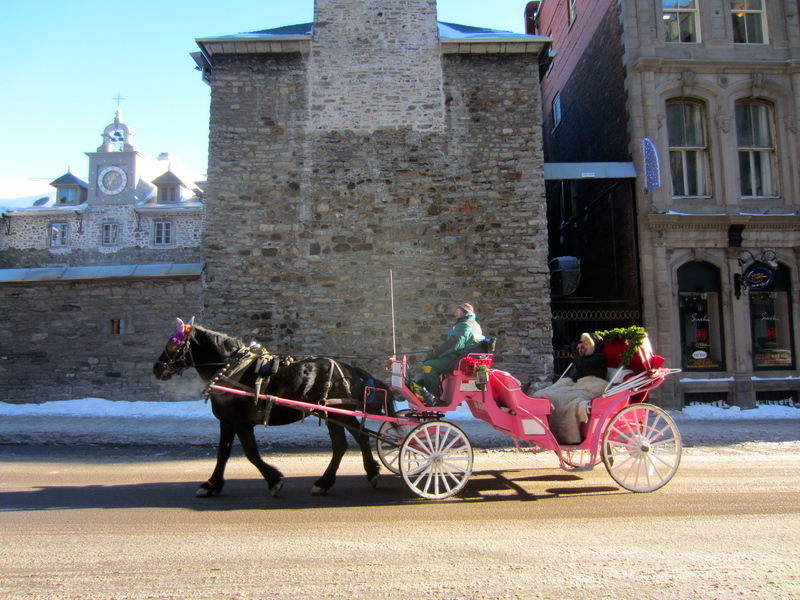 Playing on it’s theme of ‘old’, horse-drawn carriages clip clop around the streets, taking couples on romantic rides. And why not? It’s a very photogenic place in the rain, sun or snow. Cars are scarce and usually just crawl through the one-way streets. In it’s centre is the Place d’Armes, a large public square in the shadow of the beautiful twin-towered gothic basilica, the Notre-Dame Basilica. In the square is the Maisonneuve monument, a heroic statue of Paul de Chomedey, Montreal’s founder. In the grid of streets can be found a variety of fancy multicultural restaurants, cafes and bars, high class art galleries, and of course, tacky tourist shops. Vieux-Montreal neighbours on le Vieux-Port (the old port). The Montreal Science Centre is here (though I don’t really recommend it – it really seems just to be for kids), as well as a long boardwalk taking you past the Saint-Laurent river, shipping warehouses and massive cargo ships. Though there isn’t much to do here, there are good photos to be taken. Combined, they make for a good day out. 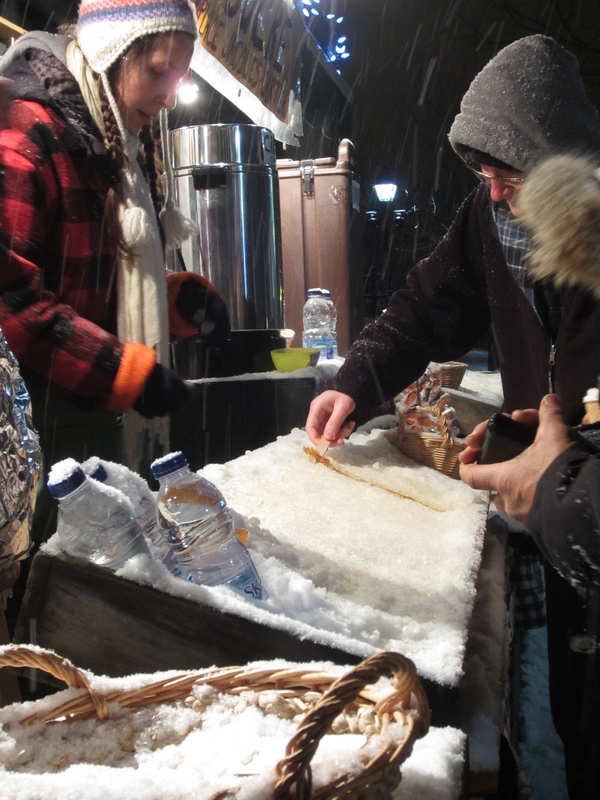 Tire d’erable (maple taffy) being served in Old Montreal, a line of maple syrup poured onto the snow, then rolled up when frozen to make a lolly. What could be more Canadian! My niece recently moved to Montreal and I want to go visit her, especially after reading this post! 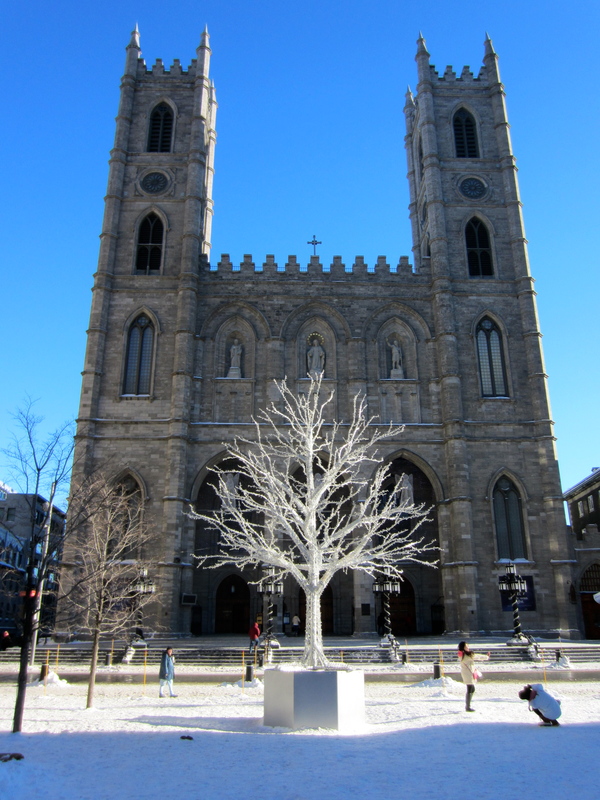 Montreal is well worth a visit, even in the winter I loved it!